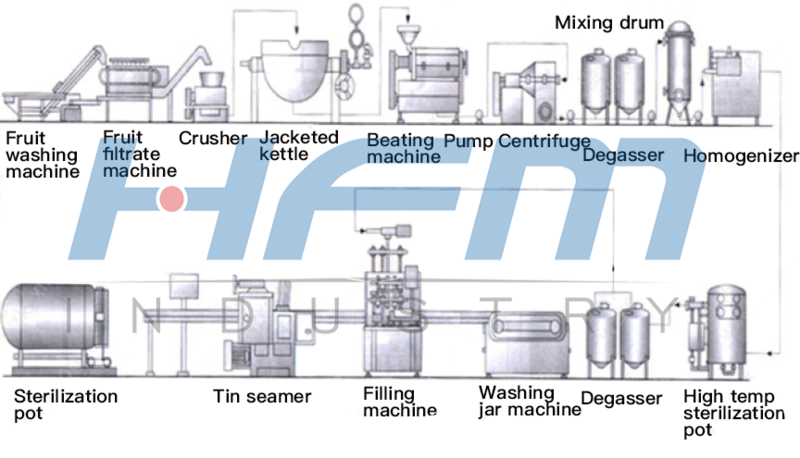 raw material selection→cleaning and sorting→crushing→pressing→coarse filtration→clarification→fine filtration→sugar acid adjustment→degassing→sterilization→packaging. 1. Raw material selection: Choose mature, fresh and intact apple. Suitable varieties are Guoguang, Hongyu and so on. 2. Cleaning and sorting: Rinse the selected fruits in a running water tank. If there is residual pesticide in the epidermis, dilute with 0.5%-1% dilute hydrochloric acid or 0.1-0.2% detergent, then strongly rinse with water. Sort and remove rotten fruit while cleaning. 3. Crushing: Use an apple grinder and a hammer crusher to crush the apples. The particle size should be the same and the crushing should be moderate. After crushing, it is treated with a pulper to make the particles fine and increase the juice extraction rate. 4. Pressing and coarse filtration: Commonly squeezed and centrifuged to extract juice. The coarse filtration was carried out with a sieve having a pore size of 0.5mm to reduce the insoluble solid content to less than 20%. 5. Clarification and fine filtration: The method is to heat the extracted apple juice to 82--85 ° C, and then rapidly cool to promote the coagulation of the colloid to achieve the purpose of clearing the juice. It can also be treated with gum, tannin, bentonite, liquid concentrated enzyme, dry enzyme preparation, and the like. The treated apple juice is clarified and filtered using a filter to which a filter aid is added. The use of diatomaceous earth as a filter layer can also remove the smell of earthworms in apples. 6. Sugar acid adjustment: Adding sugar and adding acid maintains the sugar-acid ratio of the juice at 18:1-20:1, the finished sugar content is 12%, and the acidity is 0.4%. The soluble solid content in natural apple juice is 15%-16%. 7. Degassing: If no concentration is required, the clear juice can be degassed. 8. Sterilization: The juice is rapidly heated to above 90 ° C for a few seconds to achieve high temperature instant sterilization. 9. Packaging: The sterilized juice is quickly placed in a sterilized glass bottle or tinplate canister and heat sealed. It is cooled quickly to 38 ° C after sealing, so as not to damage the nutrients of the juice. 1 homogenization: temperature above 40 ° C, pressure 15 to 20 MPa. 2 degassing: vacuum degassing method, temperature 45 ° C, vacuum degree 0.088 MPa. 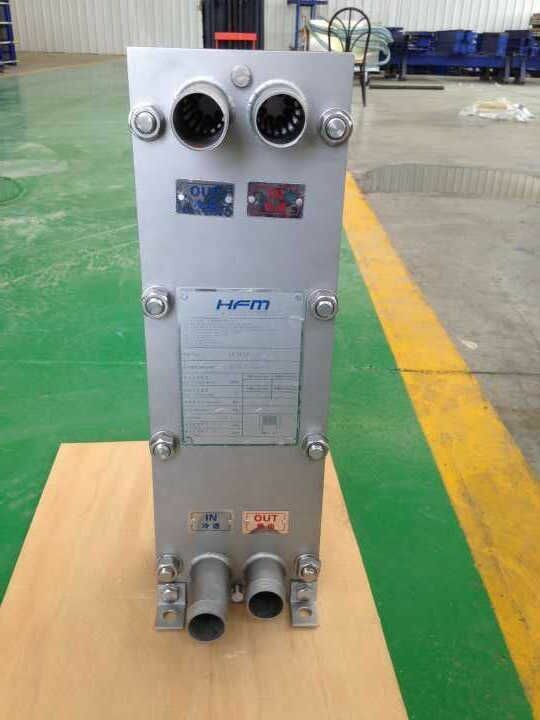 3 Sterilization: Using a plate heat exchanger, the medium is steam or hot water, and rapidly heated to 90-95 ° C for 1 minute. 4 Filling: The sterilized juice is cooled to 80 ° C or higher through a plate heat exchanger, filled into a bottle that has been sterilized and preheated, and then inverted for 10 minutes after capping.